At the end of January 2019, the developers over at Baltoro Games released a new puzzle game called ‘Flowlines VS’. Where at first they focussed on releasing games for mobile phones, they now switched paths with this brand new game for the Nintendo Switch. In this new but classic puzzle game, it is your goal to connect the dots and make your way through the 400+ levels or just battle it out with your friends in local multiplayer. So let’s have a look at the details of the game and if the developers managed to connect all the dots themselves. Flowlines VS is a typical puzzle game without a story. When you launch the game for the first time, you will get a little information on how the game works. But you won’t encounter anything that points towards a story. The fact that the developers decided to leave out a story in this type of game isn’t a bad thing, nor a weird one. 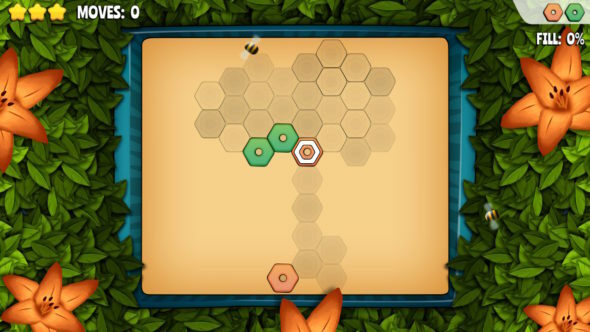 Once you are really into it, you will be determined to finish the next slightly harder level so you will keep playing. The game used 3D-graphics in a cartoony style. Everything is very detailed and just looks on point. 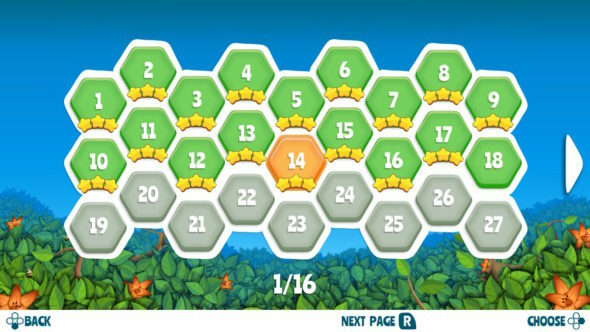 For example, in the main menu of the game you will encounter a lot of small leaves and every single one has a shadow. You can really tell that the developers did put a lot of effort in the design of the game. And it is not only the menus that are looking on point, the same goes for the puzzles. The way the puzzles are designed and how the background looks, it’s all looking good. So, if you only look at the graphical aspect of the game it’s as close to perfect as it can get. After finding out that, visually, Flowlines VS is really good, we’ll have a look at the sound aspect of the game. The main tune in the game gives off a bit of a jungle vibe. It is mostly made out of drum rhythm lines and isn’t really outstanding in any way. So when you start a puzzle, the music isn’t really changing that much, besides the beats that vary a little. However, it all does contribute to the theme of the game so they did a good job matching the two. But if you are going to play the game for a longer time, you just might wanna put on the television or some music you like because the sound of the game can get really repetitive and may even get on your nerves. 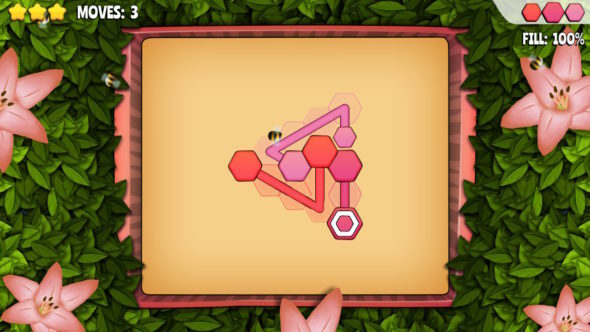 Flowlines VS is a puzzle game in which it is your goal to advance through the levels by solving the puzzles at hand. To continue to the next level you will have to solve puzzles. While playing a puzzle, you will see a grid and some colored dots. Now, it is your goal to connect the dots with the same color while covering every spot on the grid and using as little turns as possible. This might sound simple but the developers added over 400 levels in the game, so where at first everything might be very easy and you find yourself going through the levels really quick, towards the end it will get harder and it’s almost certain that at some point you will be stuck for a while. In some games, finding out that you are stuck, preventing you from getting further, might be a bad thing. 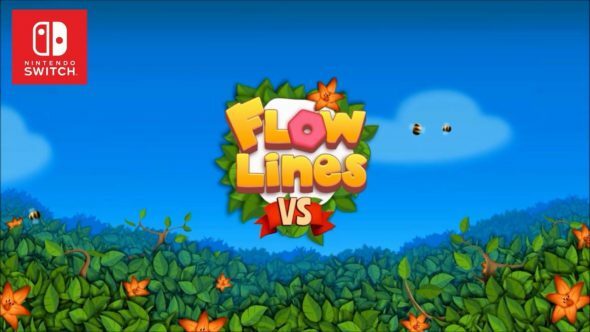 In Flowlines VS, it’s one of the factors that makes you want to play the game even more. When you finish a level you will see how many stars you’ve earned and you will have the option to continue towards the next puzzle or to replay the previous one in order to get 3 stars at all the levels. Besides the single player mode with a campaign of over 400 levels, the game also offers a local multiplayer game mode in which you can take on your friends. Before you start, you will have the option to select how many rounds one should win and how big the grid should be that you are playing on. When this is set up, the rules are simple. You will both get the same puzzle and the one player that finishes first scores a point. After this you will both proceed to the next puzzle and it starts over again, until one has reached the set amount of game points. The gameplay in Flowlines VS isn’t the most difficult to understand, but it offers a fun challenge to make your way through the levels and complete them all. With the adding of the local-multiplayer option, the developers made the right decision because now you have the option to literally battle it out with your friends and to find out who is the best in this new puzzle game. Flowlines VS is a fun and challenging puzzle game. The puzzles are nice to go through and with the 400+ levels you won’t get bored. The graphics in this game are fantastic, everything looks finished and designed in a very detailed fashion. The sound aspect of the game could have been better, but it isn’t a major flaw in this title. So, in the end we can easily say the developers came up with a good new game for the Nintendo Switch!